So how did I end up choosing the Favorite PM? I knew that I wanted my next Louis Vuitton purchase to be a cross body bag. I go shopping just about every weekend and since my Speedy 30 is a top handle it can get in the way when I’m trying to grab things or even just look through the clothing racks because I only have one free hand when I’m carrying it. I knew that a cross body bag would allow me to move around more freely. So then I just had to figure out which cross body bag to buy. I was sort of torn between the Favorite and the Pochette Accessoires. 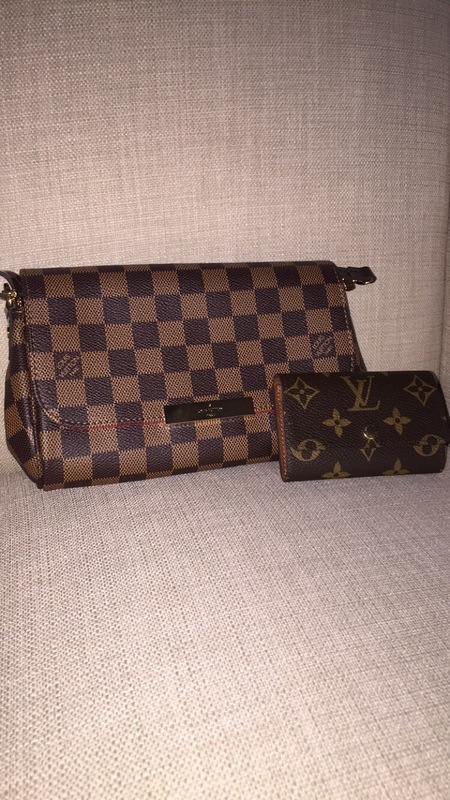 I ultimately decided to go with the Favorite because I wanted another bag in the Damier Ebene canvas and I already knew that I wanted my Pochette to be monogram with a different strap. So the Favorite was just the simpler choice at the moment. I opted for the PM size in lieu of the MM size because I felt like the MM was just too big for me. I don’t need a bunch of room in a cross body bag because I’m only going to have a few cards, a lip product, a compact and my keys in it. I didn’t see the need to have a cross body bag that was every bit the same size as a typical handbag. The price also deterred me from the MM size because it was more expensive than my Speedy 30 and if I’m going to spend over $900 for one item then it needs to be for a top handle or tote, not a cross body/clutch. 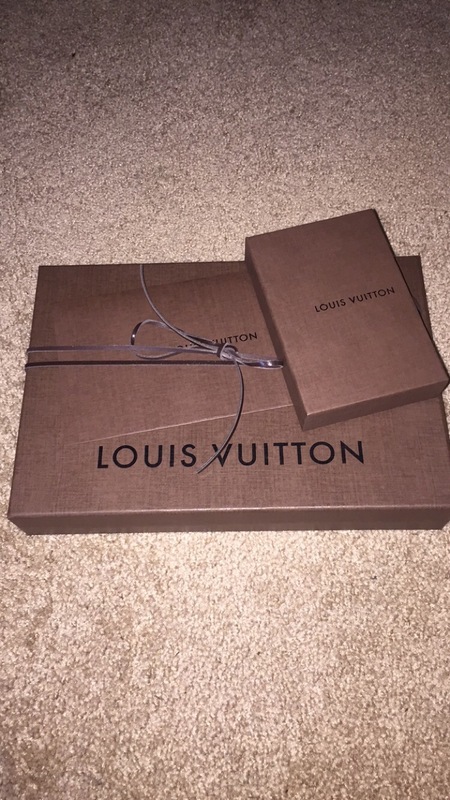 When I went to the Louis Vuitton store to make my purchase, I tried on the PM size and I knew it was meant to be. I didn’t have any desire to even try the MM size. The PM was perfect. I wore it out that afternoon after I bought it and I felt like I made the right decision. It didn’t get in my way. I went out for lunch and I didn’t have to be smushed into a booth with it. It was very practical for what I typically do on the weekends which is shop and go out to eat. I’ll more than likely be reserving my Speedy 30 for times when I go out with my fiancé because we tend to do less activities that require me to be mobile. The other item that I purchased was the 6 Key Holder in the monogram canvas. My main reason for wanting the key holder is because I love the red interior of my Speedy (and the new Favorite) but the Speedy is such a black hole of a bag that I often end up scrambling for my keys. I have this, perhaps irrational, fear that my beautiful red interior will get scratched or cut up by my keys. So I figured this item would protect my bag from my keys in a sense. And it’s pretty! I chose to get my key holder in the monogram canvas because I prefer the Damier Ebene in just about every handbag I see so if I keep choosing that canvas then I’ll never end up with any items in the monogram print. Plus, I feel like the monogram canvas isn’t so obnoxious and in your face when it’s on a smaller item. I think I’m going to get all of my SLGs (small leather goods) in the monogram canvas for that reason. What will I buy next? Prior to this purchase I felt like there was a nagging voice in my head about making the right purchase this time around. After this purchase, I felt like a weight had been lifted off of me. That nagging voice is gone… for now. I don’t see myself getting anything else for a while so maybe three to six months from now, I might make another purchase. However I do want to visit the store again within the next month or so just to try on a few things with my mom. She doesn’t have a Louis Vuitton item yet and I think it’s about time for her to get something too. I love Louis Vuitton design! You have a really nice blog, keep the nice job!